You probably don’t want to give a central listing on your 100’ plus motor yacht to a brokerage firm who’s most recent ten sales were 75 feet and under. If the listing broker knows the vessel personally from either having sold the yacht to you in the past, or been involved in the new build process, that’s even better. Some brokers treat vessels they have sold almost like their children or grand children, and follow the yachts, owners and their crews’voyages, major service projects and refits very carefully. The knowledge of a particular yacht’s history is important when discussing the vessel with a potential buyer, or the broker representing the buyer. Some yachts have been maintained by owners who spare no expense during their period of ownership. Some owners minimize maintenance costs at the expense of the yacht’s overall condition. While not making a value judgment about either position, I think most potential buyers would value the information. Who will cover the costs of marketing the vessel in regard to professional photography, magazine and internet advertising, brochures and boat show participation and will you provide me with a detailed written proposal? In what boat shows does your firm have organized displays? Which yachts has your firm listed and sold in the past 24 months? Have you listed and sold any comparable yachts in the past 24 months? 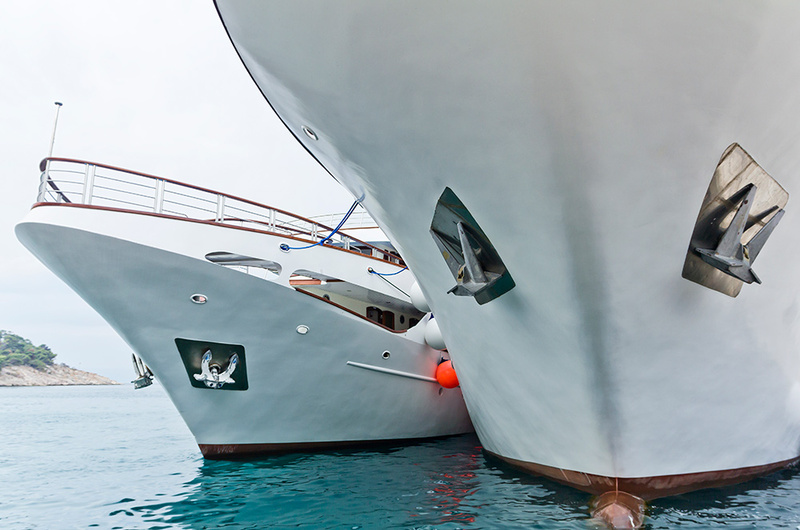 Have you sold any yachts by the same builder? What do you think is a realistic asking price for my vessel? What activities would you recommend to market the yacht? How long would you estimate it will take to sell the yacht? Is there anything I (the owner) can do to assist the marketing and sales effort? rebuild engine(s) or generator(s), etc.) prior to offering the yacht for sale? transaction and complete it in a timely manner? What services or promotions does your firm provide that separates you from your competitors?